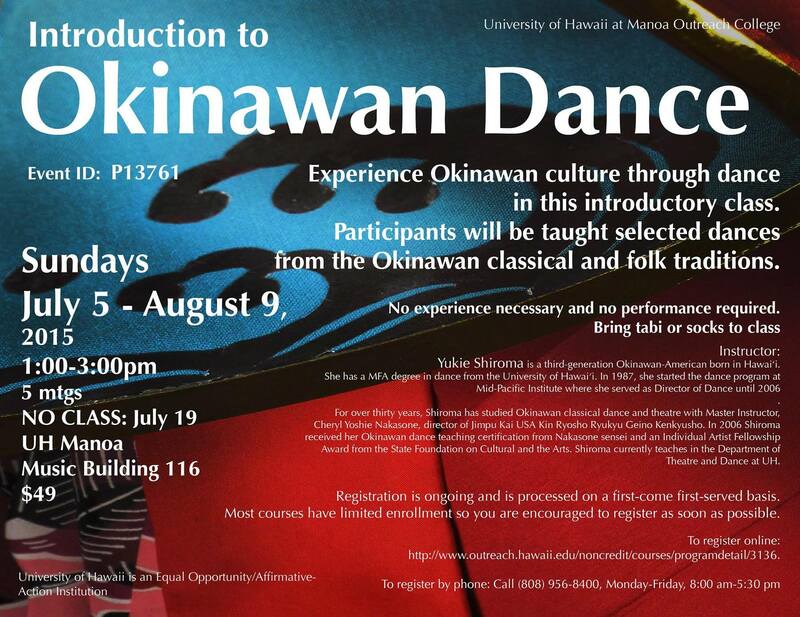 University of Hawai’i Center for Okinawan Studies ハワイ大学沖縄研究センター Join us in the “Introduction to Okinawan Dance” at UHM! Bring your tabi! Visit site. Click image to enlarge. This entry was posted in Class, Culture, Dance. Bookmark the permalink.